Join us to worship, learn, sing, celebrate, share and laugh. 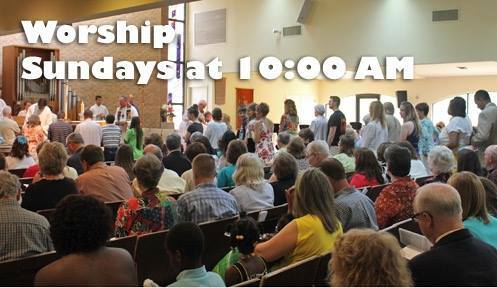 We worship at 10 a.m. every Sunday. We gather to proclaim our faith through Jesus Christ, hear God's word and celebrate communion. At the end, we go out together to do God's work in the world as best we can. The service lasts approximately 60 to 90 minutes, but the influence on our lives is unending. For specifics on what the service entails, please see our Welcome page. For information on how Lutherans view worship, see the ELCA's page on worship.